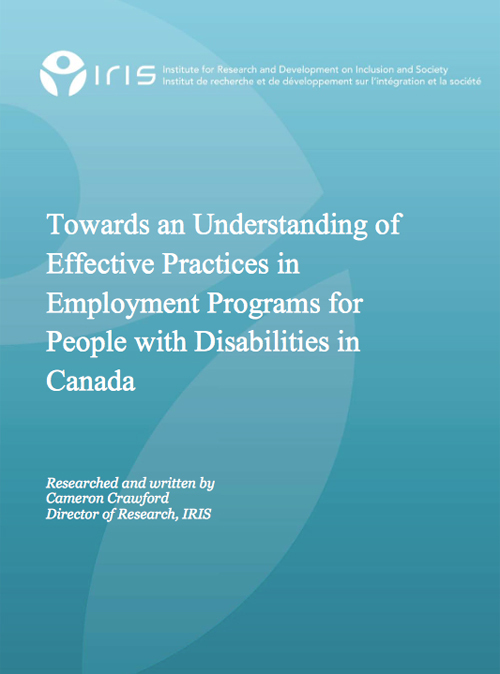 This paper is a review of best practices that have been implemented in organizations who support persons with disabilities in the labour market. The report includes tips on how to overcome barriers which may arise when one tries to employ individuals with disabilities. By demonstrating key socio-demographic and disability-specific factors, the aim of the research is to encourage best practices in order to promote the employment of individuals with disabilities. The research concludes by discussing probable program initiatives that encourage the advancement of persons with disabilities and highlights factors that may contribute to their job attainment, which include post-secondary education, training and needed assistance to perform tasks at work. Click here for a presentation of this paper.